He teaches courses on the international political economy. Before coming to the Business School in 1978, Professor Vietor held faculty appointments at Virginia Polytechnic Institute and the University of Missouri at Columbia. He received a B.A. in economics from Union College (1967), an M.A. in history from Hofstra University (1971), and a Ph.D. in history from the University of Pittsburgh (1975). He has been the recipient of a National Endowment for the Humanities Research Fellowship, the Harvard-Newcomen Postdoctoral Fellowship in Business History, and the Newcomen Award in Business History. Professor Vietor’s research on business and government policy has been published in numerous journals and books. His books include Energy Policy in America Since 1945 (1984), Strategic Management in the Regulated Environment (1989), Contrived Competition: Regulation and Deregulation in America (1994), Business Management and the Natural Environment (1996), Globalization and Growth: Case Studies in National Economic Strategies (2004), Environmental Protection and the Social Responsibility of Firms (ed. with Bruce Hay and Robert Stavins; 2007), How Countries Compete: Strategy, Structure, and Government in the Global Economy (2007), and The Class Moves the World: How Business Elites Decipher the World Economy (available in Japanese only, 2010). 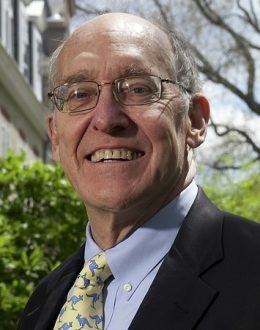 For his courses in business-government relations and environmental management, Professor Vietor has published more than eighty case studies on energy policy, the regulation of natural gas, nuclear power and hazardous wastes; on strategy and deregulation in airlines, railroads, telecommunications, and financial services; and on the national development strategies of a dozen countries. He has been a consultant to the Hudson Institute and the Energy Research and Development Administration, serves on the Advisory Boards of IPADE (in Mexico), IESE (in Spain), and INALDE (in Colombia), on the board of the Luigi Gerardo Napolitano Society, and several firms. He is a consultant to several corporations and to the Prime Minister of Malaysia. Professor Vietor and his wife Cindy have three adult children — Nicholas, Christopher, and Meredith.